Sometimes some records just don’t hit the mark… and from the drab artwork to the confusion of the songs that dwell within, that seems to be the case here. It’s a dreadful shame – given some of the names Rowden has worked with in the past, this is a record that should have presented far more in the way of highlights. This, Mandy Rowden’s second album, owes much to Lucinda Williams and a bit to Tift Merritt, but lacks the conviction of either. The songs are relatively well put together and in the most part, decently executed, but just not exciting enough. Moreover, the apocalyptic imagery of a couple of songs, notably Flood Song and No Greater Silence, and the social commentary and ramshackle romp of 5 O’clock World are difficult to take seriously. Positives? Well there are several: If Let Me In set the tone for the rest of the album, the record would be superb, It’s a great song and sounds rather like Sheryl Crow channelling Zuma-era Neil Young. Lost Love is also a really rather lovely song with a fantastic folksy melody and spacious arrangement. In brief, Rowden comes close to breaking through the proverbial fog on a couple of occasions, to the point that you find yourself willing her on, but she never quite finds her footing. Had this been an ep which distilled the best of her songwriting, we would probably be hailing Rowden as one to watch. As it stands, there is too much to divert your attention from the great songwriting that is all too subtly showcased. If she is capable of writing songs as great as Lost Love, hopefully we’re in for a pleasant surprise next time round. 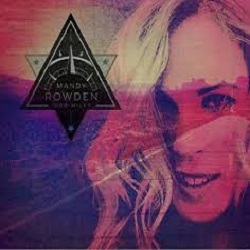 Second album from Austin’s Mandy Rowden fails to hit the mark.